Recently, I discovered a woman named Amber Rogers who is the creator/writer of a blog called Go Kaleo (www.gokaleo.com). She is a 40 something, spiky-haired, formerly obese wife and mother turned personal trainer/coach and massage therapist. She transformed her health and her life through positive changes in her diet and exercise habits. You can also find her on Facebook at http://www.facebook.com/gokaleo. She is very upbeat, encouraging and inspiring. I love her posts because she speaks the truth and doesn’t follow any rigid dieting. She doesn’t say no to any foods and instead makes mindful decisions when eating and tries to incorporate as much movement as possible (such as “cardio” sessions chasing her children at the park!). She simply lives her life, eats whole, natural foods, moves around a lot and lifts heavy weights when she can. She certainly doesn’t buy into all the b.s. that the media, fitness industry and die-hard (fill in the blank diet/exercise program)ers constantly feed us. It is refreshing to find someone (especially a female) who is fit and doesn’t spend their life in the gym or obsessing about calorie intake and protein powders. I think she has really smart things to say and it’s never anything complicated. The best part is I can read her posts and not feel at all guilty if I just ate a chocolate chip cookie for breakfast instead of oatmeal. Interestingly, she appears to follow a mostly vegetarian way of eating, not for any particular reason other than she finds it to be the most beneficial to her health, well-being and energy level. I like her even more because of it! Through its production and distribution linkages, the meat and poultry industry impacts firms in all 509 sectors of the U.S. economy, in every state and every congressional district in the country. Through direct taxes paid, these companies and their employees provide $81.2 billion in revenues to federal, state and local governments. The consumption of meat and poultry generates $2.4 billion in state sales taxes. The meat and poultry industry’s economic ripple effect generates $864.2 billion annually to the U.S. economy, or roughly 6% of the entire GDP. Now, if an industry provides 6% of a country’s GDP, you can bet your bottom dollar that the government supports that industry. Politicians and the meat producers are so tight knit, it is disgusting. More on that later.. When you’re in a bind and want a fast, warm meal, I’d recommend Trader Joe’s Organic Vegetarian Chili. It is really tasty, especially if you throw a few crunched up tortilla chips on top (and maybe some vegan cheese). It has a great texture…not too chunky and not too soup-y. It has a good amount of spice to it too. I try to eat it with a big salad so I get lots of green veggies in addition to my protein and beans. After eating it several times, it dawned on me that it tasted a lot like the turkey chili I used to make. I read the ingredients to figure out how they did this. Finally, I realized it had tofu in it. I had no idea tofu could be so tasty! For some reason, I am now severely addicted to this chili. Since I am worried about my protein intake every day, I am glad I found this. As with most processed foods, the sodium content is well above what I’d normally be ok with eating. 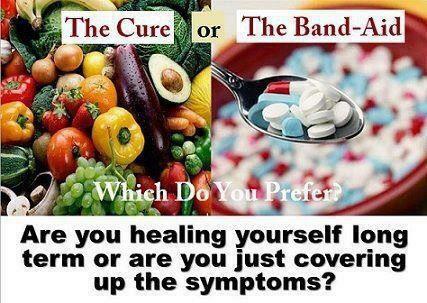 Also, I typically never eat anything from a can (too many toxins can leak into your food from them). However, since vegetarian eating is still very new to me, I am trying to be open to new options and want to just do the best I can. My plan is to try to recreate this chili at home so I can lower the sodium content and not have to worry about any metal cans. Volunteers at International Coastal Cleanup have picked up 9 million pounds of trash in the oceans. The #1 item they find? Cigarette butts. About 2 million of them. This disgusting statistic is yet another excellent reason to quit smoking! Other items found in the oceans include caps/lids, plastic bottles, plastic bags, food containers, cans, etc. These are items that should be in landfills, or better yet, not being used at all. I am happy to see a lot of restaurants now serve biodegradable products and stores encouraging people to use recyclable and reusable bags. It’s a simple way to help save the earth and its living creatures. I personally LOVE the ocean, as well as all animals, so the idea of keeping litter out of the oceans is a big deal to me. But even if you are heartless and don’t care about the oceans or animals or being more “green,” I’m sure you still care about yourself. Just remember that the disgusting chemicals in plastic do leech into the water. That’s water that you will inevitably drink…or that the fish you eat once drank… and so on…. As I’ve blogged about before, veganism is excellent for the environment. So, from time to time, even though it is technically not related to being vegan, I am going to post about environmental issues. This ABC news story is living proof that there are things we ALL can do to help the environment, whether it’s through what we eat, what we drive (or don’t drive), planting a tree, recycling, etc.. Small choices we can all make each day can and DO make an impact.